183kg of food and immeasurable generosity: thank you to everybody who has supported our football for food campaign. A blog post by Finola Fitzpatrick. I am always proud to be a part of AFC Unity football club, but this last week has just been something else. Truth be told, I am really quite overwhelmed. 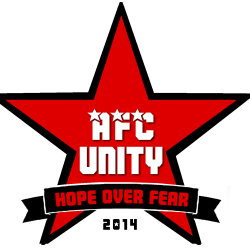 AFC Unity is passionately committed to tackling food poverty in Sheffield, and for weeks now we have been collecting food donations at our home games, which are then distributed to food banks across the city via the Sheffield Food Collective. With Christmas fast approaching, we decided to push for even more donations, as it is a time of year where families are presented with additional pressures to provide. We decided it was important to deliver a season of giving as well as a season of football. Sunday was a huge day for us. Not only were we playing Sheffield Wednesday Ladies Development, it was also the culmination of our season of giving. Nerves were high. But not just your usual pre-match jitters. We knew it was our last opportunity to collect food donations before Christmas, and we wanted to make a difference more than ever. We laid out the donations box and patiently waited for players and spectators to arrive. However, there was no need to be patient as, incredibly, some of our players managed to secure donations from local schools and supermarkets which filled our box as quickly as the players had arrived with them. Players and spectators were not the only guests we had on Sunday. ITV Calendar News very kindly came along to film a TV package about our football for food campaign and season of giving. I was absolutely overjoyed that they came along as it gave us a real platform to raise awareness of food poverty in Sheffield. 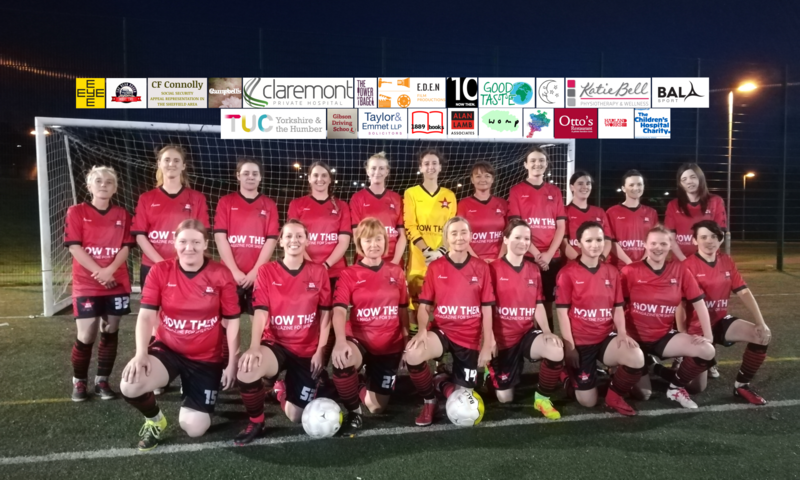 Vice-Captain Sarah Richards was interviewed by Calendar and is one of the players who recently visited the Parson Cross Initiative’s food bank to see first-hand how our collected donations are making a difference to the local community. It was there she found out that one in three users of the food bank is a child under the age of 18. Nick Waterfield, a community worker from the Parson Cross Initiative’s food bank, was also interviewed by Calendar. Nick has been a staunch supporter of AFC Unity’s football for food campaign right from the start, and regularly comes along to our home games. Amazingly, we have just been told by the Sheffield Food Collective that AFC Unity’s football for food campaign has collected 183kg of food, which is enough to provide 350 meals for families across Sheffield. At this point I think we should thank everybody who has donated to, or supported our football for food campaign in some way. I also just want to say how proud I am to be part of a football club that is so passionately committed to making a difference to the community it is part of. I am extremely excited to see how our football for food campaign develops in the new year, and once again… thank you!! To watch ITV Calendar’s feature about football for food in full, click here.